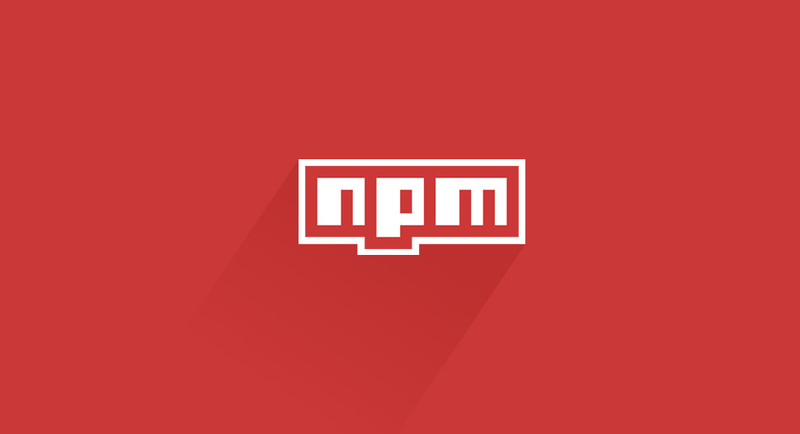 This post goes through the process of publishing and developing an NPM package. The post is a great starting point for developers who have some experience in Node.js, but have not had a chance to publish their own Node module to NPM. We also go explain how to use built-in array methods, which greatly simplified our module code. A specific option can affect multiple selectors, with multiple different styling properties. This means as you add more options and more elements (with additional styling), successfully maintaining the styling for the options becomes almost impossible. In the past we searched for a specific option value in our CSS files (eg. #777 for text color) and extracted the selectors from the file. As we did this by hand, we pushed this task aside and worked on it as one of the last things on our TODO list. During the process, mistakes were made, time was lost and motivation for finishing the theme was gone. We decided to build a NPM task to help us extract the properties we needed. We also created Gulp and Grunt plugins for the module, so we could easily include the module in our workflow. When creating a new Node.js package, the best way is to start with the package.json file. Once your package.json file is created, you’ll need to create the file that will be loaded when the module is required – index.js. package.json is a settings file for your NPM package and contains the name, version, dependencies, etc. of your package. The file is usually located in the root of the project. The most important settings are name and version. These 2 settings are required and your package won’t install without them. The name and version together form an identifier that is assumed to be completely unique. You will also want to provide a value for main. This refers to the primary entry point for your program. This is usually index.js and for most modules. Use the npm init command to create a new project.json file. This will open a utility that will walk you through the process and will cover only the most common settings. Take a look at the online documentation or run npm help json to get additional information. The main logic for each module is different. For building our module, we utilized the built-in Array.prototype.filter() and Array.prototype.map() array methods, that greatly simplified our code. If you have not used filter or map methods before, make sure to give them a try. This array method creates a new array with all the elements that pass the test in the function that is provided as the first parameter. It creates a new array with the results of calling the function that is provided as the first parameter, for every array element. Combining these two methods together, allows us to write pretty complex programs, all without a single loop. The above code first filters out all the themes that have the price larger than or equal to 49$, then using the map function we only get the names of those themes. Similar chaining was used for the module logic of filtering out rules that only have the properties we are looking for. You may decide using ES6 (ECMAScript 2015) features to make your code more readable. When we first started building our module, we thought as Node supports ES6 features, a transpilation process would not be required. We looked around at existing packages on NPM and most of them use a transpilation process. They follow a common pattern of providing an ES6 version in the /src/ folder (used for NPM) and an ES5 version in the /lib/ folder (used for development and available on GitHub). We decided to use Babel as our ES6 transpiler. Babel is used by many open-source projects on GitHub (including React.js) and has an awesome community behind it. You can try out Babel on their site and experiment to see how it converts ES6 code to ES5. Take a look at the official documentation for more information. Now we can compile the code by running npm run build in the terminal. The project structure we used allows us to have the ES6 version available only on GitHub, as it is used only for development. We ignore the node_module folder, so we don’t pollute our project with other node modules. The ES5 version is only available on NPM and is generated during the publishing process. You will need to have an account on NPM in order to publish packages. If you don’t have an account, create it with npm adduser (or register on the site). If you already have an account, use npm login. Use npm config ls to see all the login credentials that are stored on your computer. Once logged in, use npm publish to publish your package. To see your new package, go to https://npmjs.com/package/<package>. Note that everything in the directory will be included in the package, unless it is ignored inside .gitignore or .npmingnore files. After making the necessary changes in your code, you will need to change the version number. You cannot update your package, without changing the version. You can change the version by hand in package.json or you can run npm run <update_type> (patch, minor, or major). After updating the version number, publish your changes by using npm publish again. you can only combine the selectors, but cannot provide the PHP code, as you don’t know the option name. We plan to release a SASS version of the above module, where SASS variables can be used to solve both issues. If you find any bugs or would like to add some additional functionality, feel free to open an issue on GitHub.